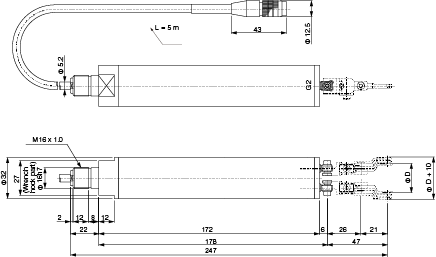 Rear Fork Gauge RF-10 | TOSEI ENGINEERING CORP. 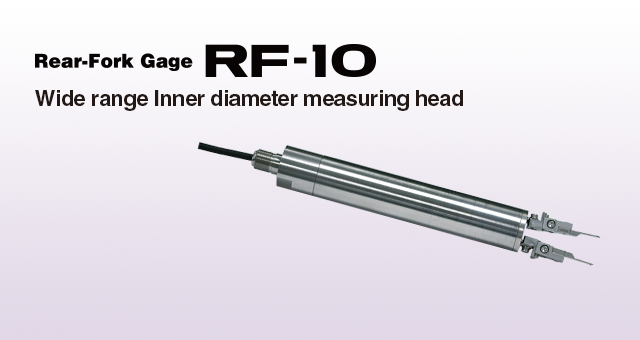 Different diameter measuring head RF-10 is a type of gauge for internal grinders attached to the spindle hole in the other side of the grinding wheel. With function for different diameter (sizeshift), it is possible to greatly reduce the setup time when changing the workpiece, especially it is ideal for machine for processing a wide variety of workpiece. Changing of setup for diameters within 10 mm is fully automatic. At a processing line with many type of work pieces, this gauge shorten a lot the setup time. Retract stroke is selectable between 0.1 mm and 0.3 mm. This way, operation can be performed without interference even when the clearance from the grinding wheel is small. 40 different types of work pieces can be automatically measured.